In a development that has caused so many people wondering what might have happened, Governor Ibikunle Amosun of Ogun State has directed the immediate removal of all the campaign materials of the governorship candidate of APM, Hon. Adekunle Akinlade, known as “Tripple A” from major streets of Ogun State. 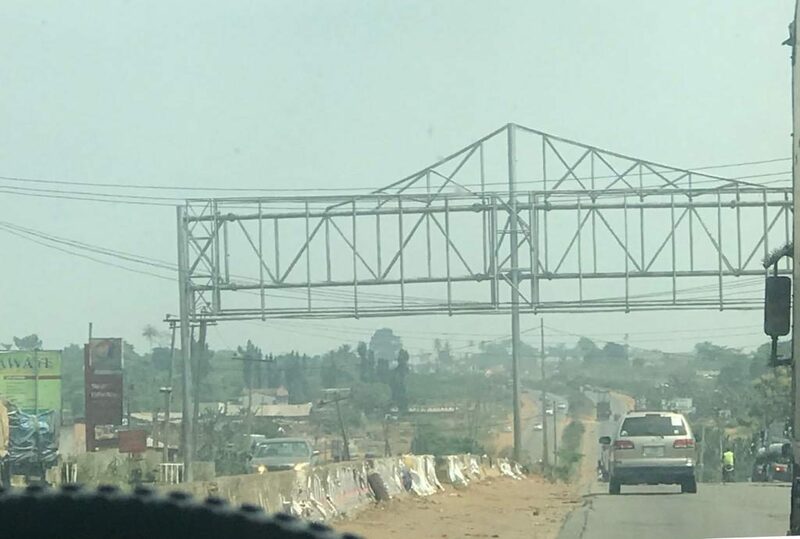 Our reporter came across the development this morning as different groups of workers were sighted frantically removing those billboards, signposts, flexes and so on, and replacing them with those with the pictures of President Muhammadu Buhari and Amosun. Investigations revealed that the development may not be unconnected with a call that Governor Amosun was said to have received from the Presidency last week warning him against his continued opposition to the governorship candidate of the All Progressives Congress (APC), Prince Dapo Abiodun. Abiodun’s convoy was attacked last Thursday in Abeokuta during his ward-to-ward tour of Abeokuta North Local Government. The security agents have, in their separate reports confirmed that Abiodun’s convoy was actually attacked by hoodlums led by Honourable Micky Kazzim, a serving member of the Federal House of Reps. Governor Amosun had arranged a press conference for last Friday to further spin to the public that it was Abiodun that attacked APM members. This was after his social media anchors had circulated pictures of buses belonging to APM said to have been destroyed during the confrontation. Just as journalists we’re settling down for the press briefing, they were quickly asked to leave as announcement came that the parley has been postponed. No reason was given for the postponement, which later turned out to be cancellation. An inner source confirmed that a call was received from the Presidency earlier that day during which the Governor was sternly warned. The hurried removal of the campaign materials this morning, is said to be a follow-up to the presidential instruction that Governor Amosun should abandon his APM pet project. In the meantime, many leading members of the governor’s camp are getting ready to abandon him for APC immediate after the presidential election of February16, 2019. With the hurried removal of Akinlade’s campaign materials today, the governor must have left Akinlade and other APM candidates in the lurch. A leader within the APM when asked, simply said he was not aware of the removal: “Even if it is true, there must be a reason for that. There is no cause for alarm, after all, it is Amosun that has been spending all the money. If he packs it (APM) up, so be it”, he said.